Turn to SESA for all your Floor Slip Resistance Testing requirements in Sydney, Canberra, Wollongong, Newcastle and other areas across NSW and ACT. At SESA, our expert floor slip consultants and slip resistance testing technicians work hard to test and evaluate your floor slip resistance against established floor slip resistance standards and assist you in meeting your obligations to ensure your floor is safe for users. SESA performs slip resistance testing (floor slip test) in Sydney, NSW, Canberra and ACT for a range of clients including government organisations, property owners and managers, cleaning companies, shopping centres, insurance & loss assessors and lawyers. SESA slip resistance testing Technicians are occupational hygienists and safety professionals trained to perform floor slip tests to Australian Standards. The floor slip test report includes the slip resistance data obtained and comparison against the benchmark recommendations to enable understanding the level of compliance with the standards and to respond accordingly. The Work Health and Safety Act and Regulation 2017 require a person conducting a business or undertakings (PCBU) involving management or control of fixtures, fittings at workplaces, and designers of those fixtures and fittings to ensure (must ensure), so far as is reasonably practicable, that the fixtures, fittings are without risks to the health and safety of any person. Obligations under the State/Territory Wrongs Act also provide for an owner/occupier responsibility for the safety of visitors to the premises. Under these regulatory requirements and in the context of provision of safe access to and egress of the premises, pedestrian surfaces should be safe and as far as reasonably practicable without a slip and fall risk to pedestrians. Slip resistance testing in accordance with Australian Standards is the first step in assessing the slip risk of floors and is the only reliable way to measure slip resistance of the floor surface to enable evaluation of the risk of people slipping over those surfaces. When completed, slip resistance testing demonstrates that a proactive approach is applied to quantitatively evaluate the risk of people slipping and enable decisions for taking appropriate action to mitigate the risk. 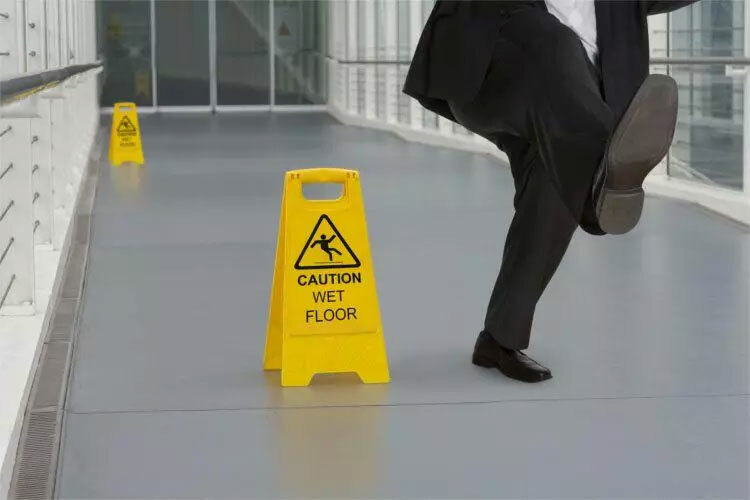 Other individual and environmental factors also contribute to the risk of slip and fall and are required to be considered in the overall floor slip risk assessment. To request a slip resistance test, call (02) 9822 8406, provide the location of the site to be tested along with the tests required and a quotation will be promptly sent. If you need assistance in the determination of appropriate tests, just let us know at the time of your call. What Surfaces are Suitable for Slip Resistance Testing? There are two slip resistance test Standards for pedestrian surfaces; one for new surfaces and one for existing surfaces. Within each Standard, the selection of an appropriate slip resistance test begins with knowing if the surface is either new (not yet laid), or has been laid. A floor is considered to become an existing surface once it has been installed and made available for pedestrian traffic. Slip resistance test methods for pedestrian surfaces are suitable for all resilient pedestrian surfaces including timber, ceramic, stone, vinyl and pit covers. Products such as sealers, polishes and etchants that modify the surface characteristics of pedestrian surfaces are also suitable for testing. Neither test Standard applies to carpets and only the ramp test methods apply to gratings. This method tests the surface under water wet conditions and provides a classification under the superseded AS/NZS 4586:2004 of either V, W, X, Y or Z (based on the British Pendulum Number or BPN obtained from the test); or a classification under the current AS 4586-2013 of either P0, P1, P2, P3, P4 or P5 (based on the Slip Resistance Value or SRV obtained from the test). This test method may also be applied insitu for existing surfaces under AS/NZS 4663:2004 and AS4663-2013. The minimum specimen size is five (5) tiles of a minimum of 15×15 cm. In the current standard the introduction of pink lapping film is set to dramatically change previously tested materials. This method tests the surface under dry conditions and provides a classification of either F or G under the superseded AS/NZS4663:2004 and a classification of either D0 or D1. 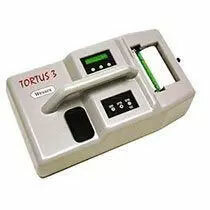 D0 is used for surfaces measuring a Coefficient of Friction less than 0.40 and D1 for surfaces measuring a Coefficient of Friction equal to or greater than 0.40. This test method may also be applied in-situ for existing surfaces under AS/NZS 4663:2004. The minimum specimen size is 100x25cm or sufficient specimens to make up required area. Samples for the Wet Pendulum test may also be used for the Dry Floor Friction test. This test is suitable for products that are intended for barefoot areas and may provide a classification of either A, B or C. This test can only be performed in the laboratory and hence is suitable only for new surfaces. Minimum specimen size is 100x50cm or sufficient specimens to make up required area. Maximum specimen size is 120x60cm. This type of test is currently not offered by SESA. This test is more suited to profiled or textured surfaces and may provide a classification of either R9, R10, R11, R12 or R13. This test can only be performed in the laboratory and hence is suitable only for new surfaces. Minimum specimen size is 100x50cm or sufficient specimens to make up required area. Maximum specimen size is 120x60cm. This type of test is currently not offered by SESA. These four slip resistance test options provide an assessment of the contribution of a pedestrian surface to the risk of slipping to assist in the specification of a surface material for most pedestrian applications. Unless the application of the surface can be controlled such as through written instruction, all test methods are the most prudent approach. In any case, at least one of Appendix A, C or D should be used for all external pedestrian surfaces and internal surfaces that have a reasonably foreseeable risk of the presence of wet substances such as water, grease and oil. The inclining platform methods (Appendices C and D) are particularly suitable for gratings, heavily profiled surfaces and resilient surfaces. Such surfaces are primarily designed to provide drainage or entrapment of contaminant materials. Where the surface is generally wet and used in barefoot conditions, choose the wet barefoot ramp method (Appendix C). Typical locations are swimming pool surrounds, showers, wash rooms and change rooms. An inclining platform method does not mean that the surface is necessarily used as an inclining platform. While this may be the case, the inclining platform method derives its name from the way in which the test is conducted: the new surface is applied to an inclining platform while an operator traverses up and down the slowly inclining platform. The angle at which the operator slips determines the slip resistance rating. If the material is installed on a slope, slope correction factors must be applied. This can mean that an initial inclining platform classification of R9, the lowest inclining platform test rating, may fail to meet an inclining platform classification in-situ due to the slope of the surface on which the material is installed. The wet pendulum and dry floor friction test methods (Appendices A and B) may not apply to heavily profiled surfaces. 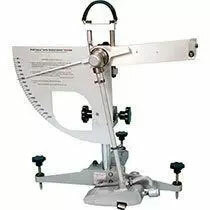 Where a inclining platform test method is specified, a wet pendulum test (Appendix A) should also be performed provided the surface is not highly profiled. Gratings are a typically highly profiled example where a inclining platform test is the only suitable slip resistance test. Tactile Ground Surface Indicators (TGSI’s) are an example of a profiled surface that is suitable for both inclining platform testing and wet pendulum testing. A wet pendulum test offers the advantage of slip resistance determination (and risk) under a wider range of conditions and because the wet pendulum test can be applied to installed surfaces (ie. in situ), it provides a measure of the inevitable change in slip resistance over time, enabling the risk of slipping to be monitored. While the measurement of slip resistance using wet methods is achieved with Appendices A, C and D, the inherent slip resistance value (uncontaminated surface) is achieved with the dry test (Appendix B) and is the only method suitable for testing under dry conditions. Appendix E of the Standard provides a method for testing the displacement space of a pedestrian surface that has a severely profiled or structured surface. The method measures the capacity of a pedestrian surface to hold contaminants that would otherwise effect slip resistance. The displacement volume test method is a useful test alongside a ramp test where the surface is severely profiled or structured and designed to provide drainage or entrapment of contaminants. 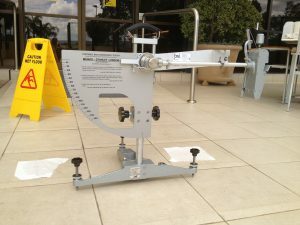 Both methods are also suitable for the evaluation of sealers, polishes and etchants: Wet Pendulum Test: Use for all external areas and those internal pedestrian surfaces where there is a likelihood of the surface being contaminated with any liquid either by rain, accidental spillage or ingress. Dry Floor Friction Test: Use on internal surfaces and smooth external surfaces. When administered by SESA and the surface is determined to show a high to very high notional contribution to the risk of slipping in the ‘as found’ state, SESA will conduct a further test after wiping the surface clean to determine the contribution (if any) of contaminants such as dust. When applied in this way, the dry floor friction test method can indicate the effectiveness of a cleaning regime. When in doubt about the selection of a suitable test method, SESA can provide recommendations based on either discussion or a site inspection. SESA Technicians can make recommendations not only on the type of test that is appropriate, but also make recommendations on the selection of sites that should be tested. So that changes in the slip resistance can be observed over time to ensure your duty of care is maintained, SESA can make recommendations on test regularity. Continuous monitoring of your pedestrian surface through regular testing will ensure the risk of slipping remains known and a responsible risk management plan is maintained. Regular monitoring involves slip resistance testing with either or both methods in AS/NZ 4663. With time, a pedestrian surface will deteriorate and become more slippery. 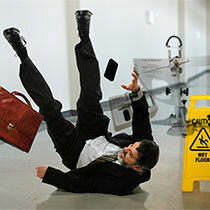 You may elect to replace or treat the surface rather than accept the increased risk of slipping. This slip resistance test guide is designed to assist you to make a valued judgement on both the rigour of your tests and the content of the resulting report. The assumption is that slip resistance tests are conducted according to Australian Standards. But the Standard is the basis for the test method only, it does not provide guidance on the selection of the form of the test appropriate to the environment. Nor does it indicate how an area should be qualified for a test. As a result, property owners and managers who believe they are meeting their obligations under the health and safety legislation by contracting slip resistance tests may be falling well short of their desired position on risk management. 1. Why Slip Resistance Tests? Slip resistance tests provide the opportunity for owners and occupiers to reduce the risk of slips and subsequent injury and litigation when results are used as part of a risk management plan. Slip resistance tests should extend to all high risk areas of floors and walkways and be part of an ongoing monitoring program to take into consideration changes in the immediate environment to monitor effects of contamination and surface wear. 2. Do Your Slip Resistance Tests Include Wet Pendulum Tests? Dry floor friction tests are only suitable for floors that are predominantly dry. The slip resistance properties of a surface can vary markedly between wet and dry conditions, hence dry tests should be supported by wet tests if there is a risk of moisture contamination. 3. Are dry floor friction tests performed in the ‘As Found’ state and after wiping? SESA dry floor friction tests measure slip resistance in the ‘as found’ condition. This accounts for any contribution to slip resistance from contamination such as dust and can be an indicator of the need for a review of the cleaning regime. Should test results from the ‘as found’ condition result in a slip resistance that shows a ‘high to very high’ risk of slipping when dry, SESA Technicians will then dry wipe the surface to demonstrate the contribution to slip resistance results from contaminants. It is not unusual to observe that by cleaning the surface, the slip resistance results in a ‘moderate to very low’ risk of slipping. Such results may indicate a need to review your cleaning program. 4. Are Your Reports Actionable? Your slip resistance reports should be easy to read and understand. Numbers alone require that you negotiate through related references and make informed judgements to respond appropriately. In order to fully appreciate the implications of your test results, your report should include information such as surface description, location, photographs and a discussion on the outcome of results, including performance against recommendations.